Health information technology (health IT) makes it possible for healthcare providers to better manage patient care through secure use and sharing of health information. It includes the use of specialty specific EHR Software instead of paper medical records to maintain people's health information. What are the benefits of implementing EMR Programs? Most private practices including solo or small practices will derive a number of benefits from an EMR Program that is customized to fit your specific needs and optimized to meet your goals. Helps physicians identify and work with patients to manage specific risk factors or combinations of risk factors to improve patient outcomes. Listed below are some criteria that every small physician practice must address when selecting an EMR Program. Practices need to ensure that they understand all of the costs associated with the EHR including training, implementation assistance, annual maintenance and support and that the total cost of ownership is affordable. EMR selected must be flexible and allow the practice to operate as a standalone solution, integrate with a practice management solution, or even work with an outsourced billing company. Seek a stable EMR vendor that constantly attracts new users and can provide proof of recent and ongoing enhancements or improvements. EMR Usability should play an important role in final EMR selection as small practices cannot afford a decrease in productivity due to poor EHR design. EMR must be customizable for your chosen specialty workflow such that it provides efficiency without straitjacketing the medical professional into a script that sounds completely unnatural and ill-suited for your specialty. Selected EMR must connect providers to updated clinical guidelines, protocols, and pay-for-performance best practices. EMR must be based on cloud-based technology (i.e., software-as-a-service-type implementation) which not only minimizes upfront costs of hardware and licenses, but it will allow for easier electronic exchanges of information with labs, pharmacies, and other entities. Practices need excellent online help, teaching materials, and a friendly customer service team that responds efficiently. Integration with Medical Billing Software: Your chosen Medical Records Software must either be already integrated with a solid practice management software or give you the option of interfacing with a compatible billing software of your choice. Small practices require this flexibility so they can make choices with financial goals in mind. Usability: EHR design must be such that allows physicians to input information into multiple fields without having to click through multiple windows. Also consider ability to customize the software based on user preference and support for the use of hand-held wireless devices, including tablet PCs or mobile phones. Customized for your speciality: EHR template customization provides efficiency without straitjacketing the medical professional into a script that sounds completely unnatural and ill-suited for the specialty. Customized for your practice: You need an EHR which can be customized to your practice size, staff volume and style of delivering care including workflow. Clinical Decision Support: Practices can benefit from an EHR that connects providers to updated clinical guidelines, protocols, and pay-for-performance best practices. Cloud based Technology: Cloud-based technology (i.e., software-as-a-service-type implementation) not only minimizes upfront costs of hardware and licenses, but also allows for easier electronic exchanges of information with labs, pharmacies, and other entities. Cloud-based EHRs are also highly secure thanks to their infrastructure that safeguards protected health information. MACRA Certified EHR: An EHR that is MACRA (Medicare Access & CHIP Reauthorization Act) certified allows Medicare providers to participate through an Advanced Alternative Payment Model (APM) or the Merit-Based Incentive Payment System (MIPS). MACRA program combines the Physician Quality Reporting System, Value-Based Modifier, and Meaningful Use to form the Quality Payment Program. Patient Engagement through Patient Portal: Patient portal provides secure communication between patients and providers. Medical staff can send messages such as appointment reminders, electronic statements, and lab results to patients. Data is exchanged through patient portal in a HIPAA compliant, secure fashion. Lab Integration: Bi-directional EHR Laboratory Interface is an assumed functionality that allows practices to receive accurate and structured lab test results into a patient's chart via a bi-directional electronic link with the laboratory. To be truly useful, the EHR must support a lab review and lab ordering workflow that leads to clinic efficiencies and provides better patient care. Automated E/M coding assistance: Used correctly, this feature automatically generates accurate evaluation and management (E/M) codes based on information collected during patient charting by eliminating errors and omissions. This feature can help prevent undercoding and maximize reimbursement for the services you provide. Productivity enhancement features: Some features that will help improve the productivity of the practice include Online payments, text reminders, e-Prescription, speech recognition, electronic signature and integrated fax. 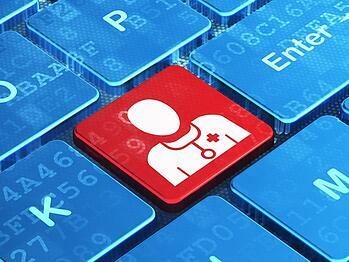 You will need to understand the differences between web based EMR (a.k.a. Cloud based EMR) and server-based EMR to determine what will best work for your practice. There are advantages and disadvantages associated with each type of implementation and it makes sense to review the same before narrowing down on your final choice. There are also significant cost differences as well between the two. Also known as web-based EMR, a cloud-based EMR operates with data and functionality housed on a third-party server. Software is purchased as a service and is either partially loaded onto practice computers or accessed completely via web portals. Cloud-based EMRs have a number of benefits for small medical practices. A server-based EMR stores all data and most functionality in house, which means you'll need servers onsite. It requires medical practices to purchase hardware, including servers, as well as software that has to be installed onsite. EMR Implementation is a multi-step process that starts from assessing the readiness of your practice in the light of its goals, drawing up a detailed EMR Implementation plan, selecting or upgrading to a certified EHR, conducting training before implementing an EHR followed up by successful attestation that demonstrates meaningful use of your EHR. Poorly planned EMR implementation offers many opportunities to fail and our prior experience shows that most catastrophic implementation issues can be traced to one of four areas: Leadership, workflow, training, and infrastructure. It is imperative to carefully consider all the areas and address the related issues prior to starting the implementation process. Efficiency should be a concern prior to software selection. 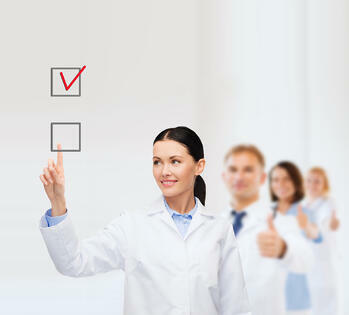 Chosen EHR software must integrate well with the practice and be user-friendly, or time-saving benefits of EHR are lost. EMR Selection, planning and implementation process should be transparent. 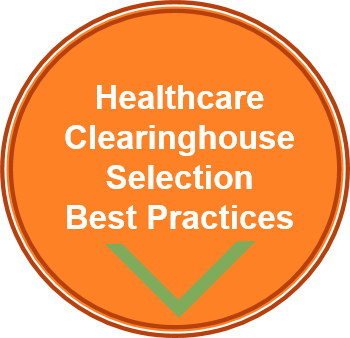 Consider including staff from all areas of the practice in brainstorming sessions, vendor reviews, planning, and testing. Optimize workflows before EHR implementation. Problems resulting from inefficient workflows or insufficient support staff will be exacerbated during the implementation of an EHR. Develop fallback procedures for EHR down time due to either power outage or internet outage or system issues beyond your control. Ensure that you work with your EHR vendor to identify the right set of equipments that bring efficiency and enhance physician and staff productivity. Just because your practice has survived the EHR go-live doesn’t mean that you’re in the clear. To fully reap the benefits, practices must continually evaluate their goals and needs, improve workflow, and leverage the analytics power inherent in the technology. 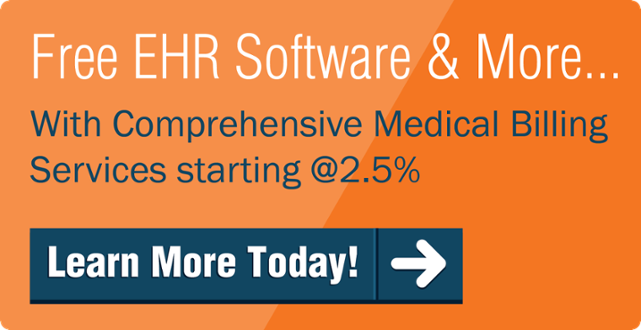 Replacing or Switching your Electronic Medical Records Software? Why do Practices switch EMR? 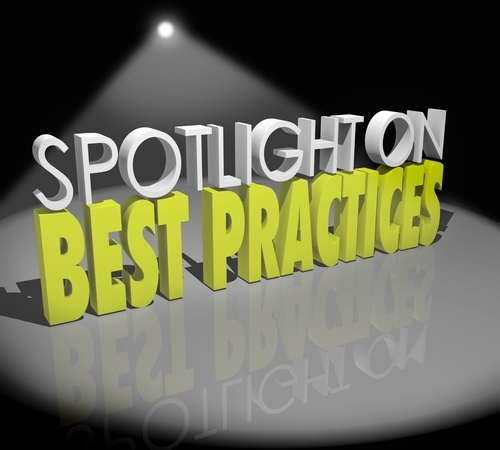 What Advantages are Practices looking for from their EHR Switch? EMR Replacement - What Challenges you must be prepared for? EMR Pricing - What you should expect to pay? The cost of purchasing and installing an EMR Solution has been estimated by several studies to range from $15,000 to $70,000 per provider. Costs vary depending on whether you implement server based EMR (on-site EMR deployment) or web-based EMR. Web-based EMR deployment, known as Software as a Service (SaaS), typically requires providers to pay a fixed monthly subscription cost. On-site deployment often requires providers to pay for ongoing costs to support and manage on-site data servers. The following chart from the Michigan Center for Effective IT Adoption provides estimated average upfront cost, yearly cost, and five year total cost of ownership (TCO) for on-site and SaaS EMR deployment. You have probably heard about several EHR Vendors offering free EHR Software and are interested implementing one in your practice. This is accomplished by bundling free EHR Software with medical billing services. Interested in a free trial? According to CMS, the the federal agency with the responsible for promoting the adoption of certified EHR technology, "sometimes people use the terms 'Electronic Medical Record' or 'EMR' when talking about Electronic Health Record (EHR) technology. Very often an Electronic Medical Record or EMR is just another way to describe an Electronic Health Record or EHR, and both providers and vendors sometimes use the terms interchangeably". EHRIntelligence states that "Healthcare organizations and providers have a greater tendency to still use EMR when discussing the health IT system in use by clinicians in the treatment of patients, but many have gravitated toward saying EHR when describing this technology". Even though it is not uncommon for health care professionals to use "EMR" and "EHR" interchangeably and these digital records share certain functionalities, they actually serve quite different purposes. An EMR is akin to a digital version of the paper chart in a doctor's office and is designed to replace the paper chart and streamline the documentation and data management within a particular practice. An EHR, on the other hand, goes beyond standard clinical data collected in a provider’s office and is inclusive of a broader view of a patient’s care and provides the ability to securely share information across health care systems, networks, and authorized public health agencies in real time. It is important to note that medical or health records and personal health record (PHR) are not the same thing. While medical or health records contain information about health compiled and maintained by each of the healthcare providers, a PHR contains information about your health compiled and maintained by the patients. EMR Software (Electronic Medical Records Software) is the digital or electronic version of a paper chart and includes medical and clinical data like medical history, treatment, diagnoses, allergies and medications of patients seen at a medical practice. In general, Electronic Medical Records cannot be shared with other providers outside of one practice. It is an important component of the overall patient care ecosystem. It goes beyond standard clinical data collected in a provider’s office and can be inclusive of a broader view of a patient’s care. Health information can be created and managed by authorized providers in a digital format capable of being shared with other providers across more than one health care organization. It is built to share information with other health care providers and organizations – such as laboratories, specialists, medical imaging facilities, pharmacies, emergency facilities, and school and workplace clinics – so they contain information from all clinicians involved in a patient’s care.